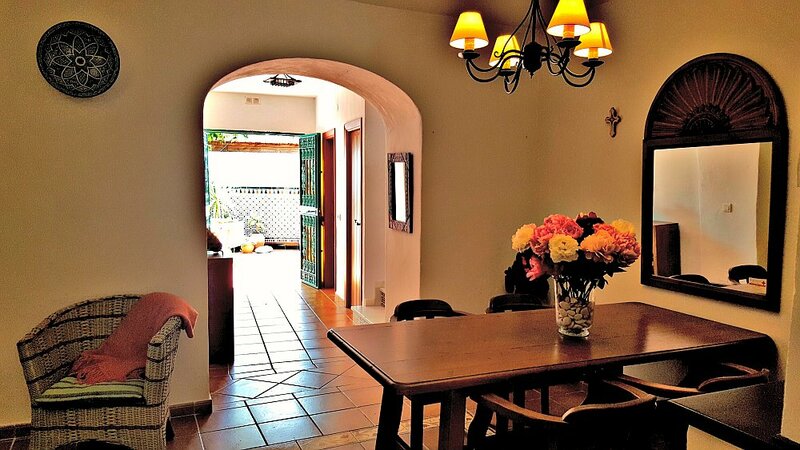 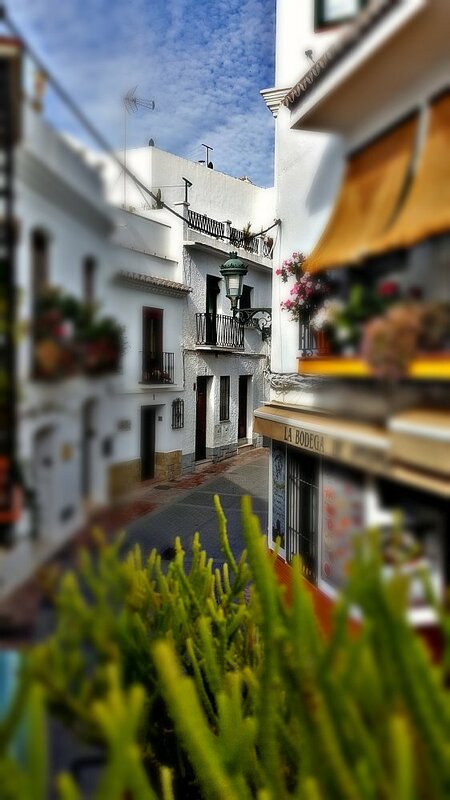 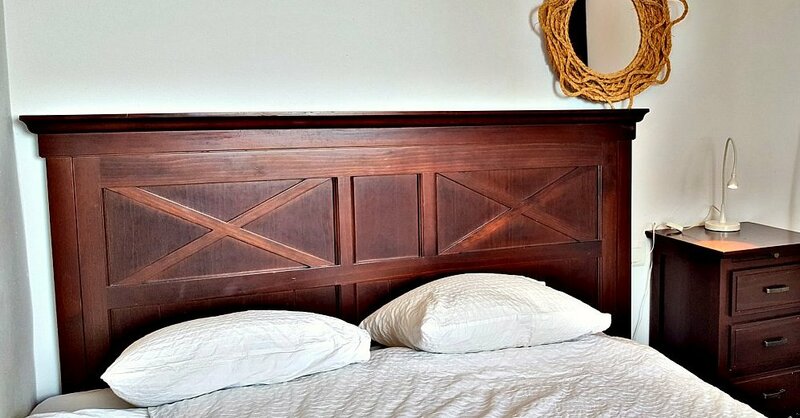 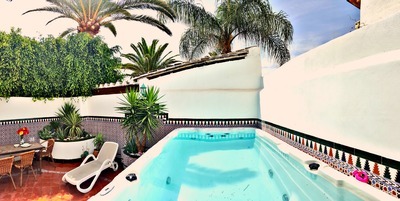 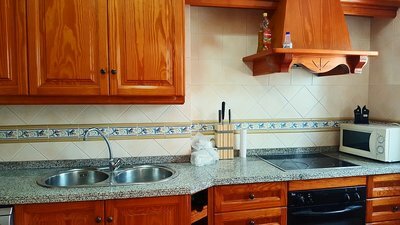 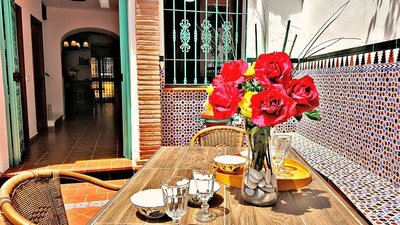 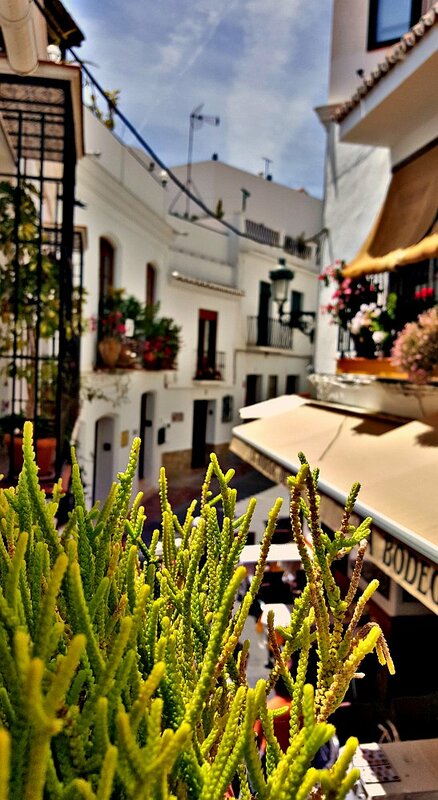 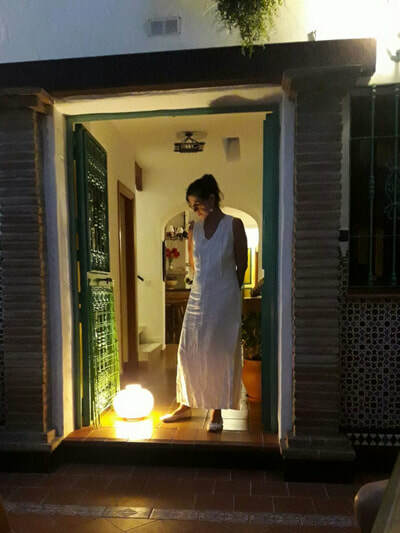 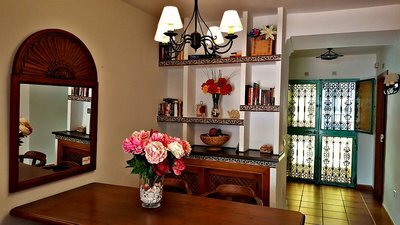 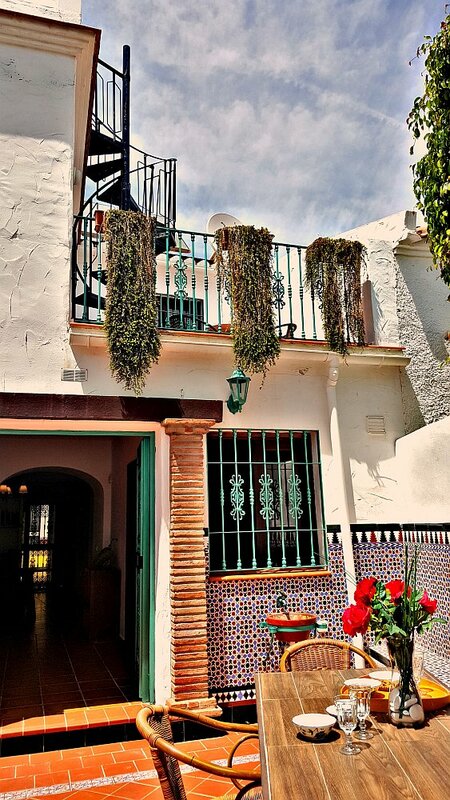 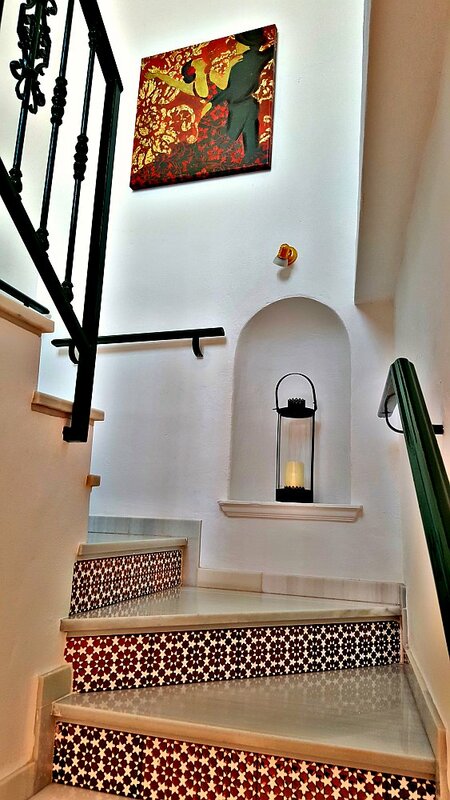 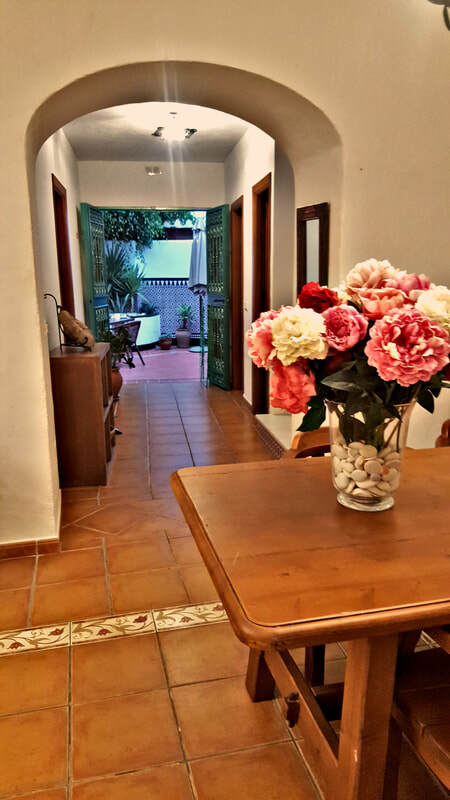 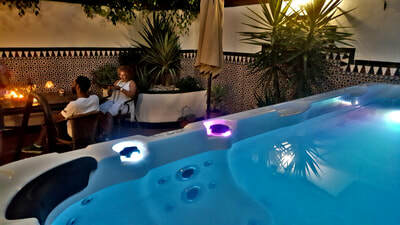 Most beautiful Andalusian Town House at Calle Carabeo 10, only a few steps from the Balcón de Europa. 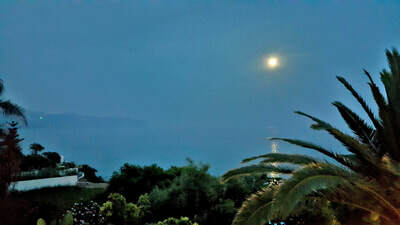 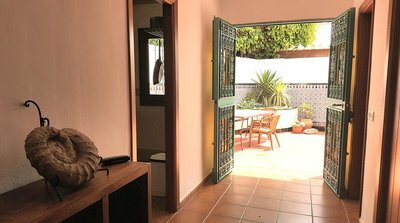 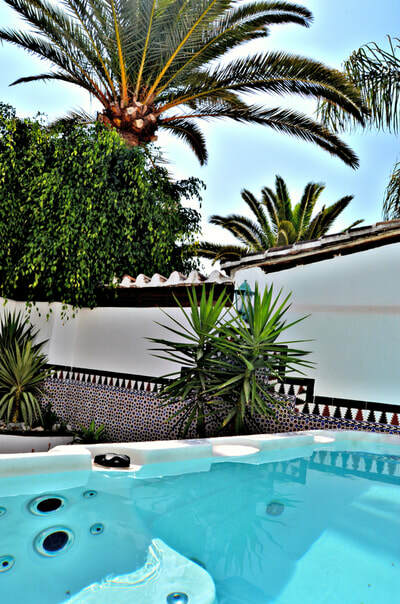 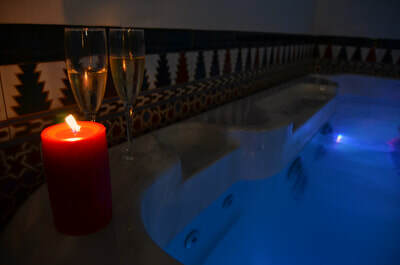 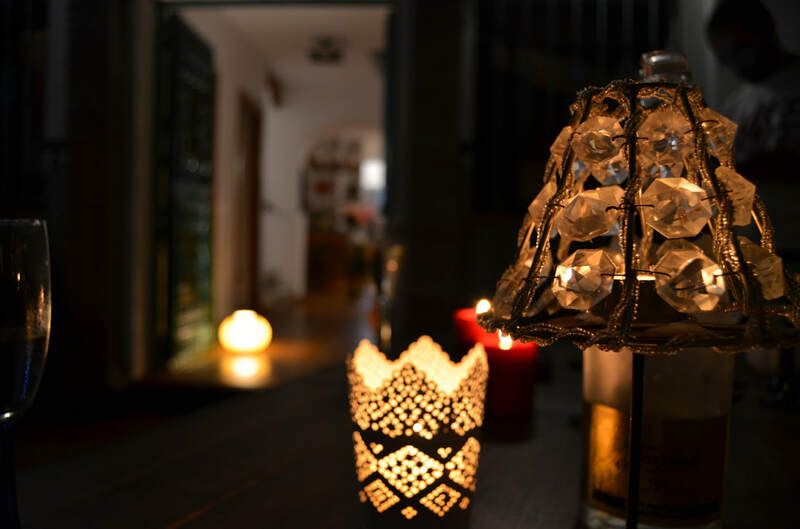 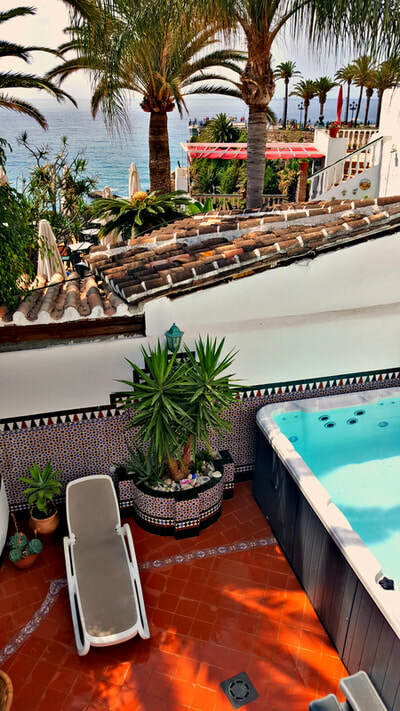 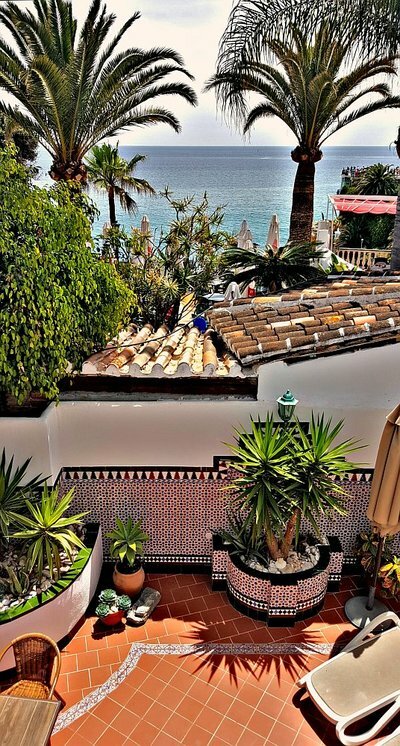 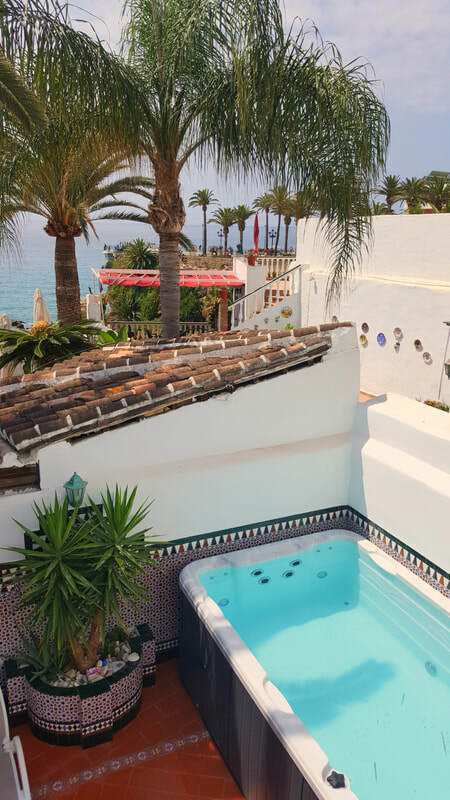 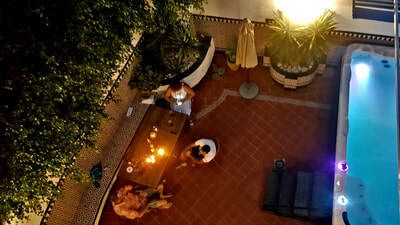 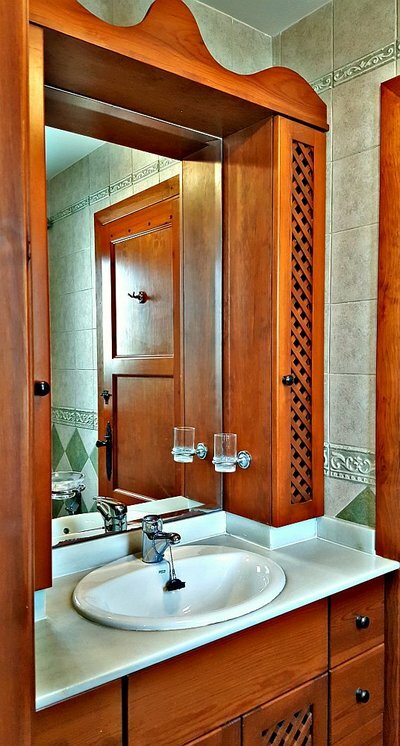 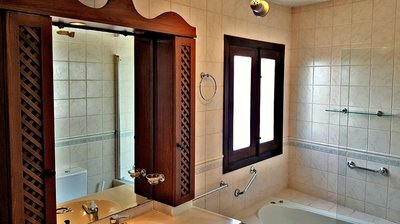 The century old traditional villa was recently renovated and modernised, with independent air-conditioning in each bedroom and the salon as well as heaters. 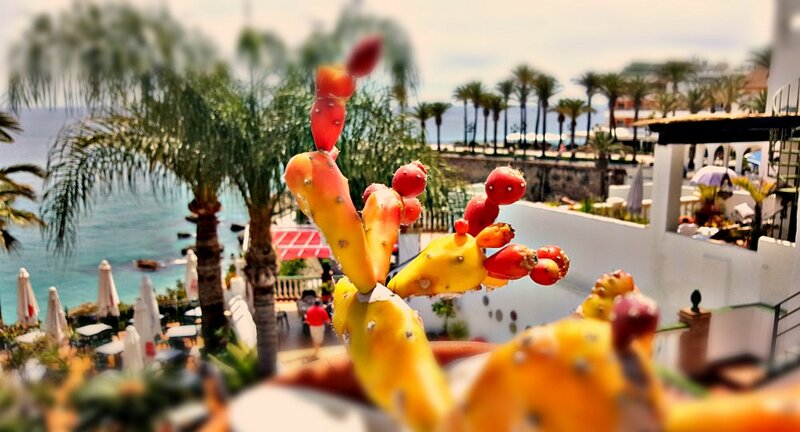 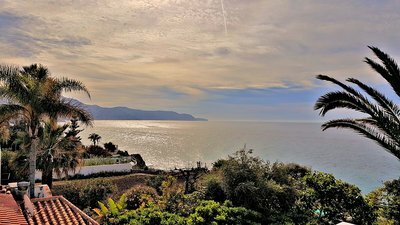 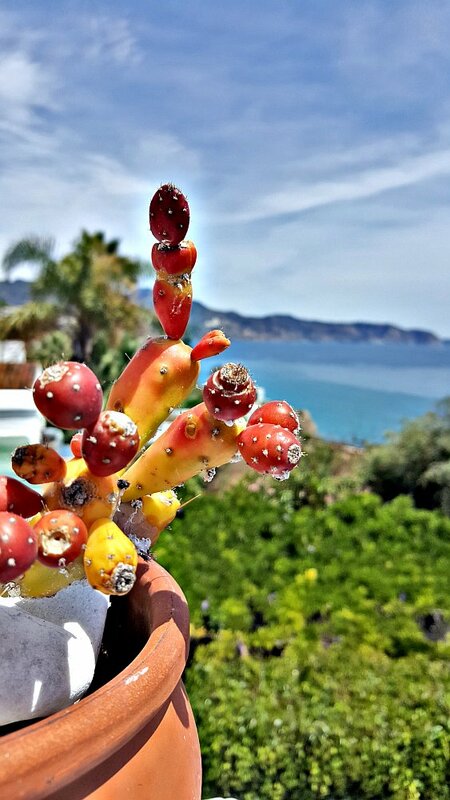 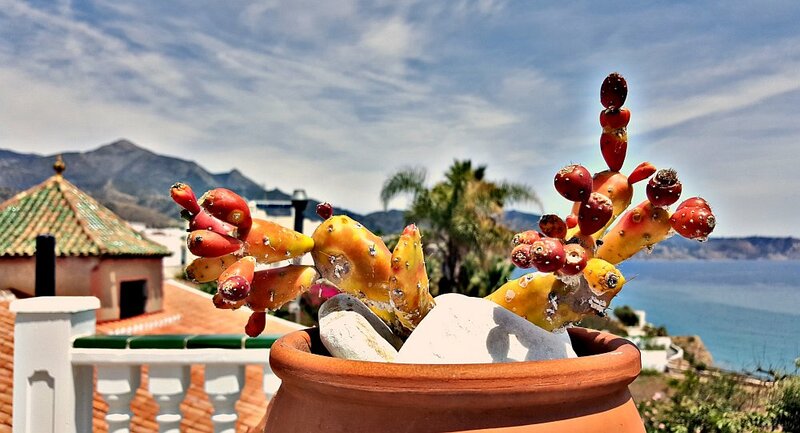 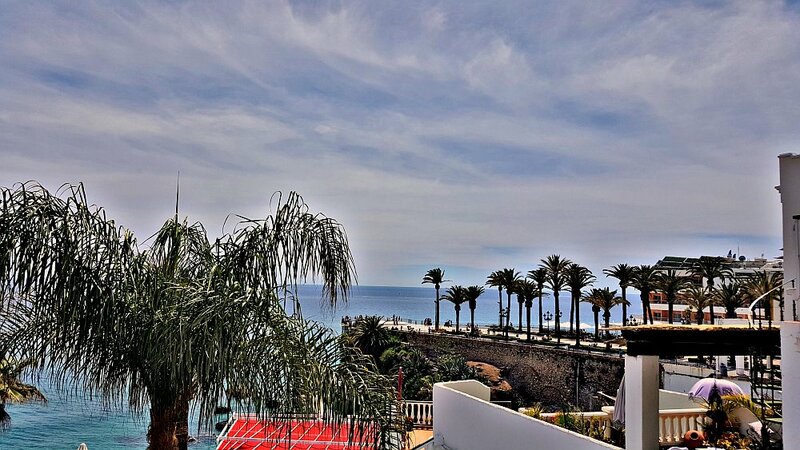 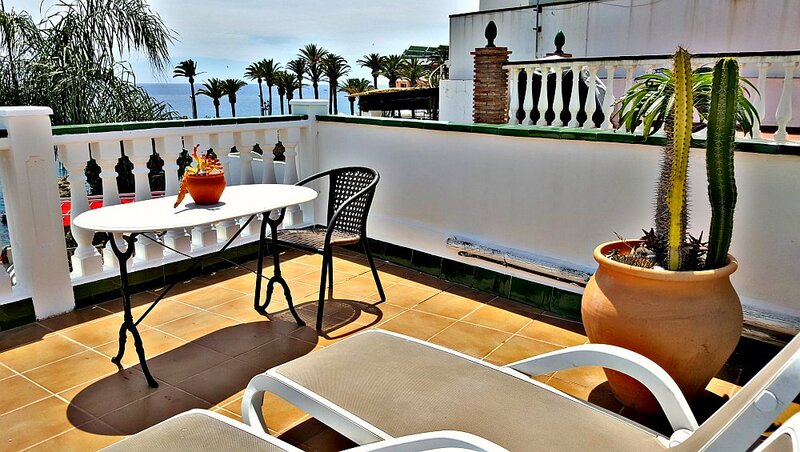 From the terraces on different levels you can enjoy great views to the sea and the Balcón de Europa. 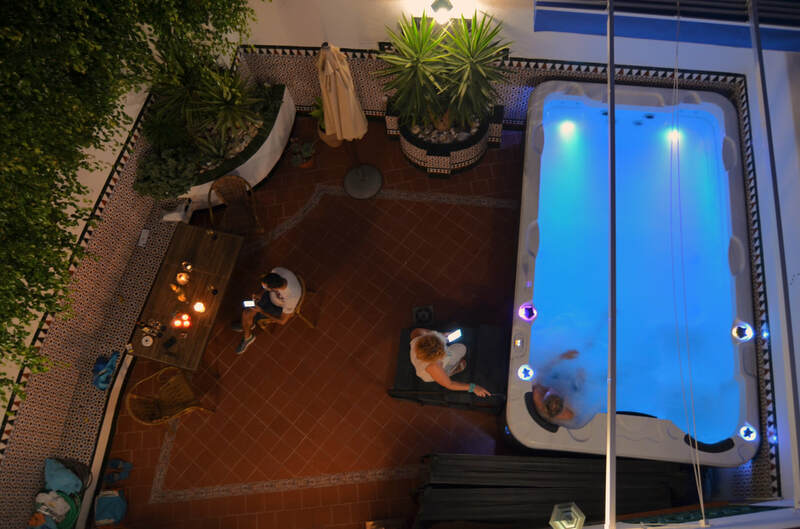 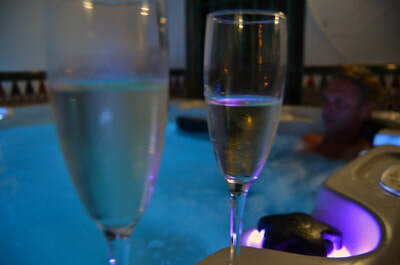 The patio offers a private and in the same time very sunny place, to which in June 2017 a new big Swim Spa / Pool has been added (4 x 2.5 meters, heated all-year). The villa is build on two levels with an additional roof terrace. 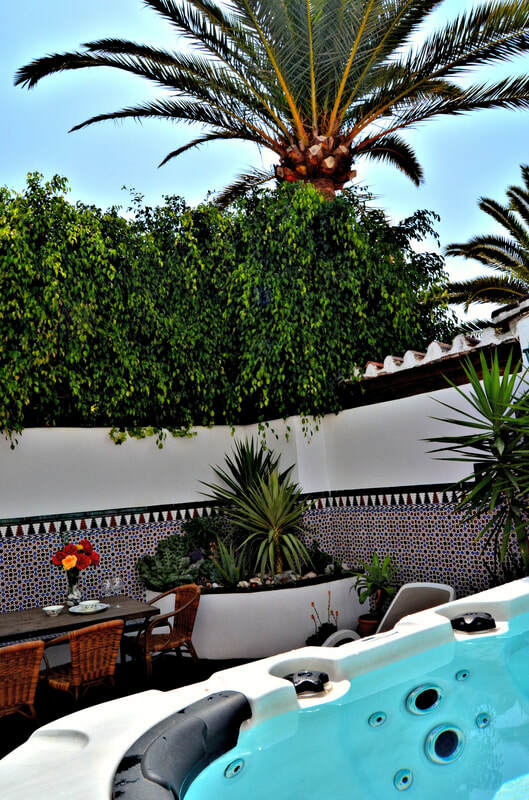 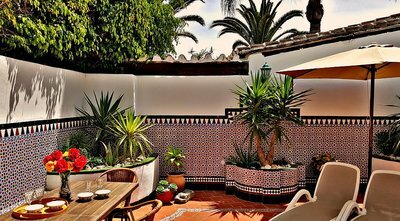 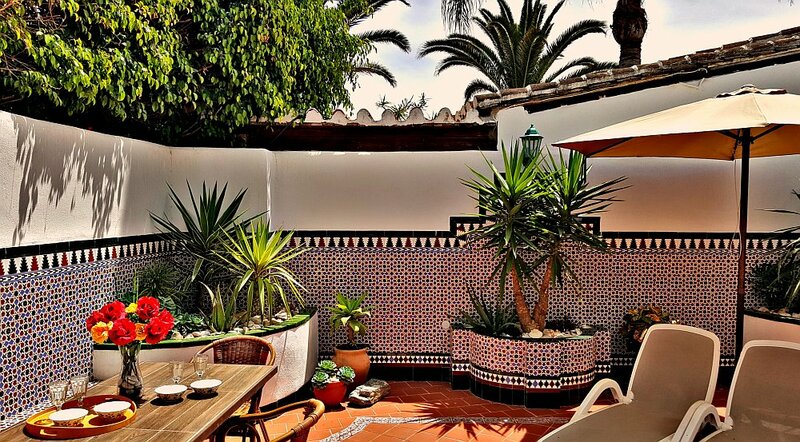 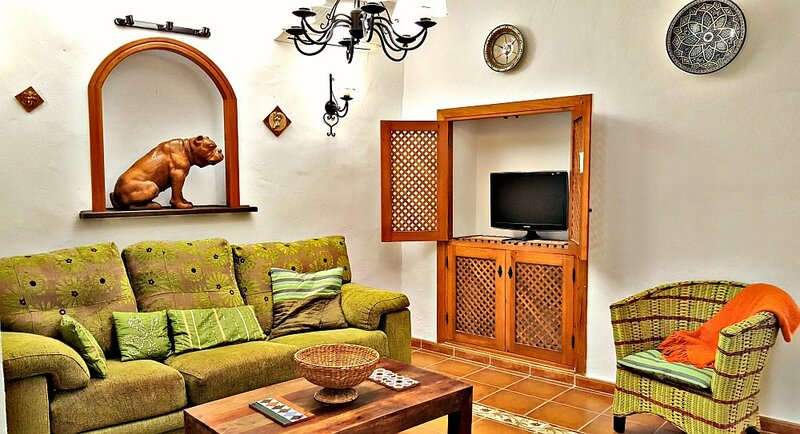 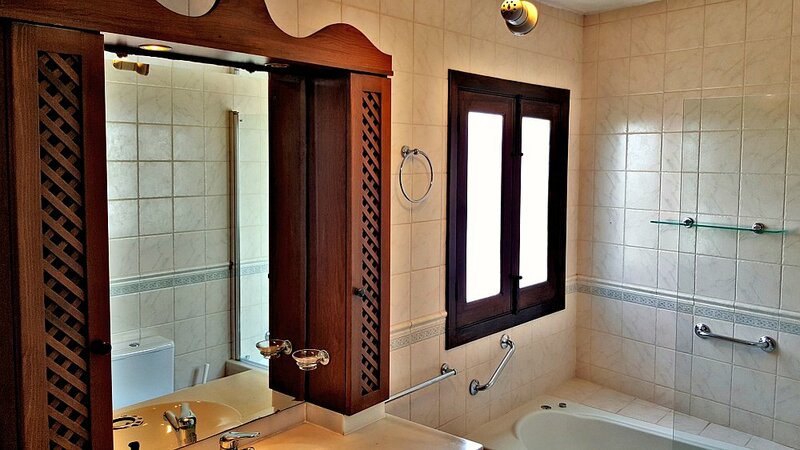 It offers a Spanish traditional atmosphere combined with modern and comfortable interior. 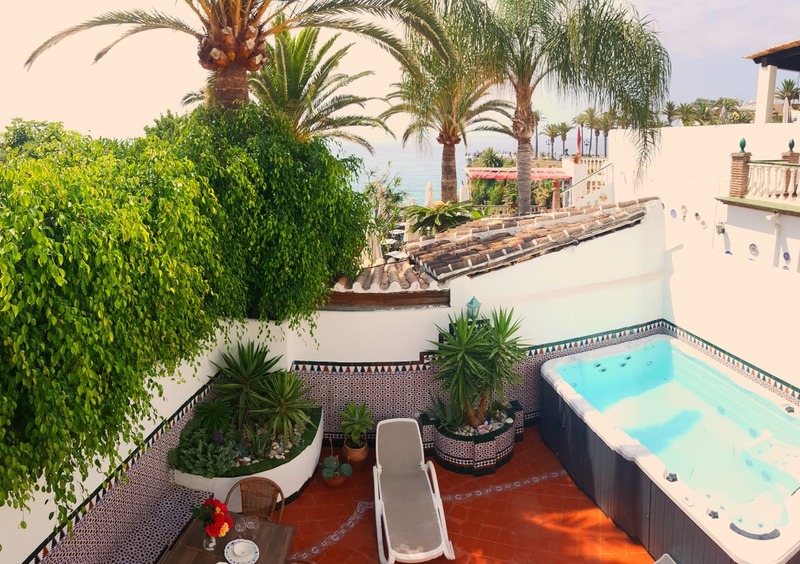 On the ground floor you will find the salon and dining area, one bedroom (twin beds), a big bathroom, the fully fitted kitchen and at the end the spacious patio area with sunbeds, a big table and the Swim Spa / Pool. 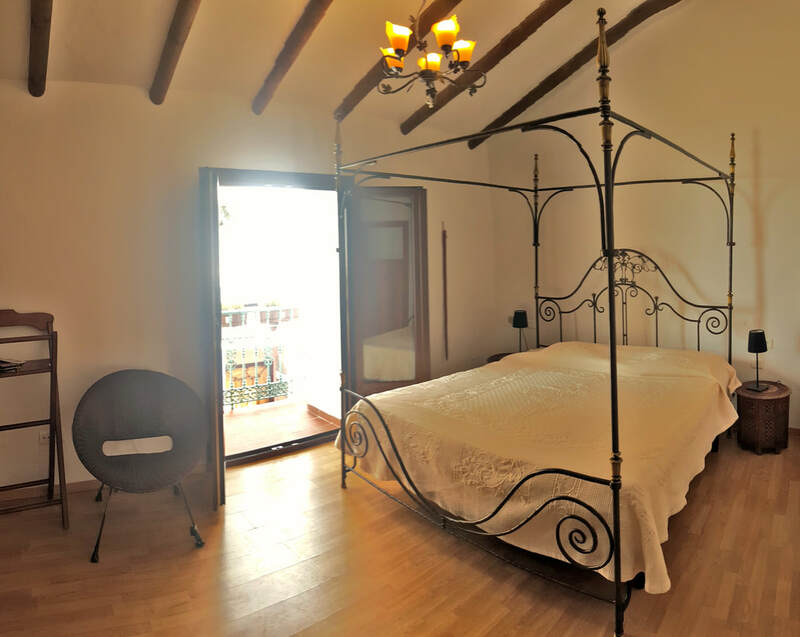 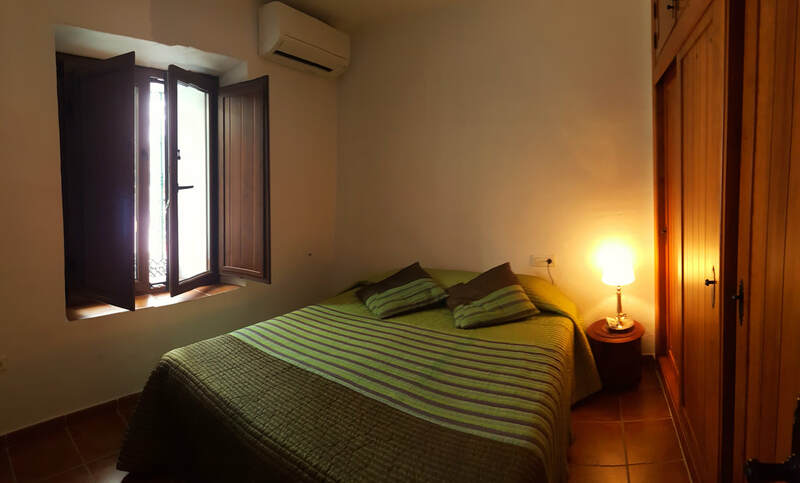 In the first floor there are the other two bedrooms (master with four poster canopy bed, the other with double plus single bed), the second big bathroom and a first terrace, giving access also to the roof terrace. 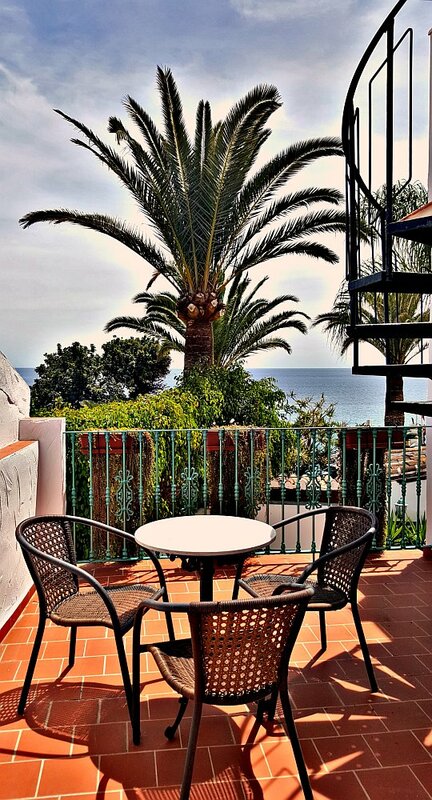 The terraces are furnished with table and more sunbeds, letting you enjoy the views over the Mediterranean Sea and all day sunshine. Free WiFi, Internet-Television (international), public parking nearby. 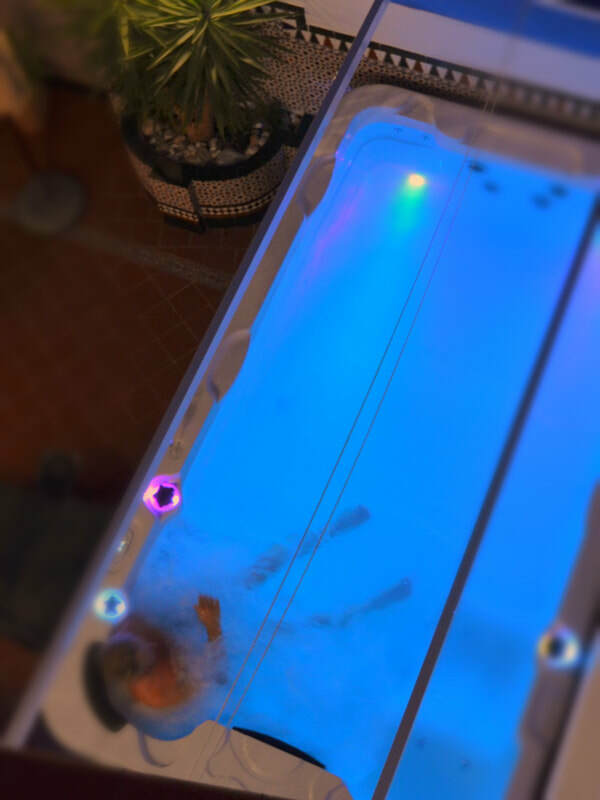 The modern Swim Spa offers you many special features, including: a countercurrent swimming system ('Endless Pool'), hydromassage, year-round fun and fitness due to heated water.